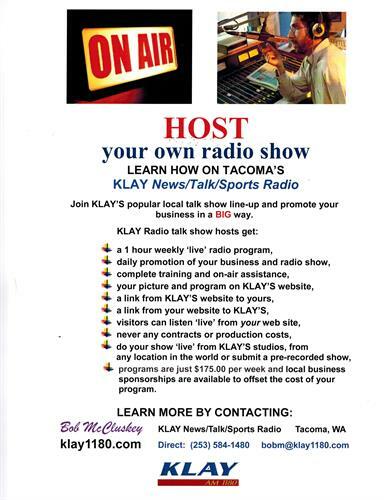 Tacoma’s KLAY News/Talk/Sports Radio is now in our 56th year providing quality programming around the clock, seven days a week. 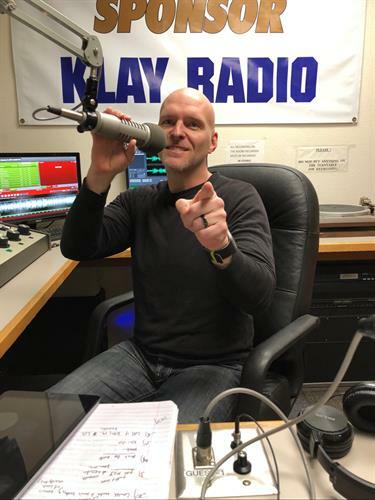 KLAY broadcasts from Tacoma, north to Seattle, south through Olympia (within three counties) and around the world on the web. KLAY is the only commercial radio station in Tacoma. 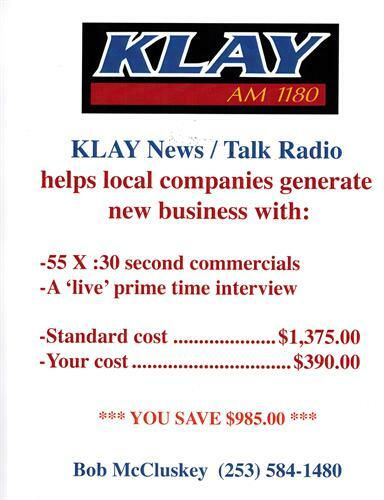 We are a full service radio station that targets the local customer base for 100’s of local Pierce County businesses. We provide block-time programming and :10, :30, & :60 second commercial packages – all reasonably priced. 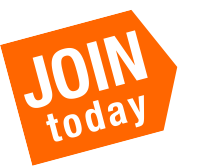 We enjoy a large, established listener base including the military, working head-of-house hold, home owners and professionals with spendable income reaching mature, diverse, affluent, educated listeners 25 years old and up--approximately 50% male and 50% female.